Become an Alumni Association social media ambassador for a chance to win prizes, such as gift cards to the UGA Bookstore and products from alumni-owned businesses. 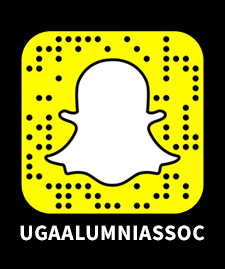 Getting started is simple: Connect your social media accounts to the program, look out for info from the UGA Alumni Association full of awesome news about the university and your fellow alumni and click to spread the news for a chance to win prizes. You may leave Athens, but Athens never leaves you. Stay connected to the University of Georgia and the Bulldog Nation on social media by following the UGA Alumni Association. Let us keep you informed about the latest university and alumni news and happenings. Once a Dawg, Always a Dawg. How Sweet It Is! For more UGA social media, visit the main University of Georgia social page!